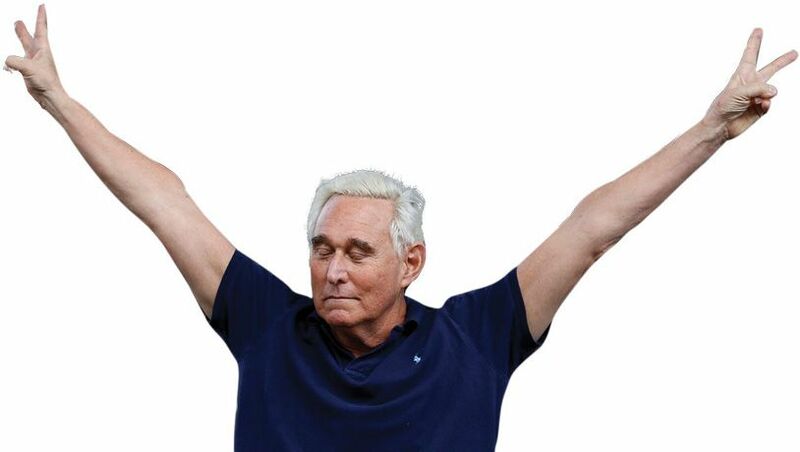 The Stone indictment looks fairly solid, said Jonathan Turley in USAToday.com. Mueller has records of several conversations that Stone claimed never happened, including several attempts to get messages to and information from WikiLeaks; in one communication, he urges a fellow witness to “do a Frank Pentangeli,” a reference to the Godfather II character who lies before Congress. But there is nothing here that implicates Trump, or “that can be fairly described as a criminal conspiracy.” In fact, said Andrew McCarthy in NationalReview.com, this indictment confirms that there was no Trump-Russia conspiracy. If a campaign official had to be “directed” to find out through Stone when WikiLeaks might release hacked Democratic emails, that means the Trump team was actually “in the dark” about WikiLeaks’, and Russia’s, plans. What if there isn’t much more to reveal? asked David French in NationalReview.com. My working theory is that Trump’s inner campaign circle was an “ad hoc mix of comically inept crooks and grifters who were seeking any advantage they could,” including talking to WikiLeaks and Russians. Later, after the full extent of Russian election interference emerged, these clowns—including the cartoonish Stone, with his Richard Nixon back tattoo—began lying “to cover their tracks.” Did their crimes go beyond lying, to actual cooperation and coordination with Russia? Let’s hope Mueller concludes his investigation soon: The “drip, drip” of incremental revelations is driving the country crazy.